Caroline Champsaur has been working at the OECD for almost 20 years as the Head of the Reference and Terminology Unit (Translation Division). Over the years, she led the change from paper to digital. As a Counsellor for Digital, she also manages projects on Terminology and Machine Translation and participates to several projects of OECD’s Digital Strategy. 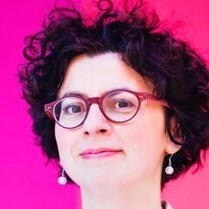 She holds a PhD in computational linguistics and a Master’s Degree in computer science (University of Paris 7, France), as well as a Master’s Degree in German Language and Literature (University of Paris 7, France). She also studied Artificial Intelligence (Aachen University of Technology, Germany), German Language (Westfälische Wilhelms-Universität Münster, Germany) and French as a Foreign Language (University of Paris 7, France).